No time to eat a full meal Are carbs a no-no No problem! Featuring 150 fantastic make-ahead meals, such as Sausage and Cheese Muffins, Very Veggie Wraps, and Mocha Cheesecake, Extreme Lo-Carb Meals to Go is the perfect way for you to say hello to time-and goodbye to carbs! Sharron Long is the mother of three and the author of the bestselling cookbook Extreme Lo-Carb Cuisine. 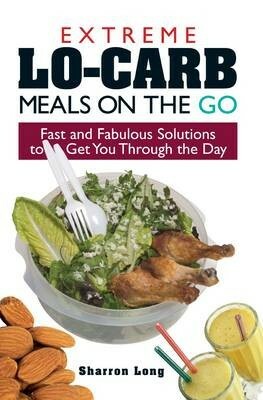 She runs www.thelowcarbcook.com and writes articles and monthly columns for www.lowcarbeating.com.